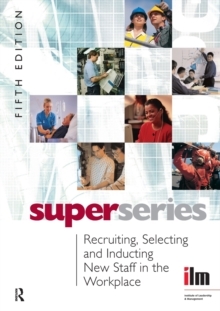 Super series are a set of workbooks to accompany the flexible learning programme specifically designed and developed by the Institute of Leadership & Management (ILM) to support their Level 3 Certificate in First Line Management. The learning content is also closely aligned to the Level 3 S/NVQ in Management. The series consists of 35 workbooks. Each book will map on to a course unit (35 books/units). Content is well regarded. It is popular with those training with the ILM but can also be used for independent study.